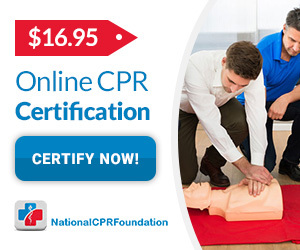 CPR certification is the preferred training to provide medical assistance to a person dealing with cardiopulmonary (heart) distress but Basic Life Support, or BLS, is a great skillset to add to your life saving knowledge base because it provides a comprehensive approach to lifesaving techniques. This guide prepares you for the BLS exam by defining what BLS actually is, why it’s important to maintain certification, and what you need to know to pass the test and acquire the skills to save lives. What Is BLS and Why Should You Take the Test? BLS goes a step beyond CPR, the previous standard for life-support training. 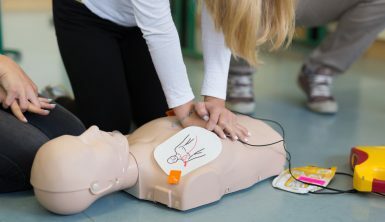 CPR is only applicable in certain situations, while BLS involves skills and techniques that are comparable to the care that a first responder would provide when responding to a medical distress call. In the BLS course, you’ll learn about CPR protocols when dealing with bloodborne pathogens, basic first-aid and how to operate an Auto External Defibrillator (AED). BLS certification is mandated for a variety of healthcare and other professions but is also highly recommended for other people. You never know when someone near you is going to need medical intervention and in an emergency, every second counts. Although BLS goes beyond the traditional CPR certification, CPR is still one of the most important skills included in this course. Heart disease remains the number one cause of death in the United States and heart attack and stroke can cause death within minutes. Timely CPR can save and extend the lives of victims of cardiac arrest until they can get medical attention. It’s recommended that anyone on the scene of a cardiopulmonary distress situation be ready to administer CPR, whether they’re certified or not, since it’s easy for 911 operators to give life-saving instructions over the phone. Learning CPR is as simple as remembering three basic steps, marked by three letters: CAB. This makes it simple to learn, even when getting a BLS certification online without the benefit of in-person training. Full, specific CPR instructions can be found in the complete BLS certification PDF. C is for Compressions: When someone is having a cardiac episode, the first step is to carry out manual chest compressions. Standard practice is to try to compress the chest at the tempo of the Bee Gees song, Stayin’ Alive. A is for Airway: The next step is to clear the subject’s airway so that you’re sure that they can breathe. Do this with a simple swipe of the finger through the person’s mouth and upper throat. B is for Breathing: Rescue breathing is typically done mouth-to-mouth. Pinch the person’s nose shut and use your mouth to create a seal over theirs. Then breathe two breaths for every second that passes. You should see the person’s chest inflate when you breathe out of your mouth and into theirs. This cycle may be repeated until an emergency response team arrives. An AED is used to intervene when a person’s heart is beating irregularly or not at all. The AED returns the heart to normal operation and extends can extend a person’s life after an accident or sudden cardiac event. The BLS course teaches you how to activate and operate an AED in its intended use. AEDs involve placing electrical leads on the abdomen of the subject and sending a charge through their system, with the end goal being to return heart operation to a normal state. Most of the time, AEDs are used after CPR. If an AED doesn’t successfully bring a person back to life, CPR should be re-administered before trying again. Treating wounds is crucial to providing care while waiting for medical responders to arrive, especially if wounds are serious. The method of treatment used is based on the location and severity of the wound. Open chest wounds: Unless there is rapid blood loss, open chest wounds should be left open until emergency responders arrive. There are complications that can result from dressing open chest wounds. Puncture wounds: Call 911 if there is rapid bleeding. Apply thorough pressure and wrap the wound. Amputations: Always call 911. Clean the area, keep the amputated part close to the victim and wrap the wound as tightly as possible. Cuts and scrapes: Apply pressure, clean the wound and wrap it in a bandage. If wounds are deep or otherwise severe, seek medical attention. The course instructs on what to do in the event of a cardiac arrest or heart attack. CPR should be used immediately if the patient is unconscious or unresponsive, and someone on the scene should call 911. Fractures: Fractures are a form of broken bones, and can be very serious. Do not attempt to move the person yourself. If they are unresponsive, perform CPR. If you can, attempt to put a splint on the injured area. Seek medical attention immediately. If there is heavy bleeding or a bone pierces the skin, call 911. Bruises: Bruises occur when blood pools under the skin. They are usually not serious. To reduce swelling, use Tylenol and elevate the bruises area whenever possible. Dental Avulsion: When a person loses a tooth as part of an injury, seek immediate medical attention. The tooth may be able to be put back in if kept alive in a saline solution and addressed immediately. Sprains and Strains: These are injuries of varying severity. Generally, the use of a splint or sling may be used to lessen the stress on the affected part of the body. Pain relievers may be used and it helps to elevate the strain/sprain 12 inches above the heart. Burns range in severity, based on the size, degree and location of the burn. 1st-degree burns are generally the least serious. If there is blistering, the burn is likely a 2nd-degree burn. If larger than 3 inches seek medical attention. 3rd-degree burns are the most serious and typically involve charred skin. These should always be handled by medical professionals; call emergency response if you are treating a burn victim with serious burns. The course also addresses the proper ways to treat burns. The course instructs people seeking the BLS certification online what to do in the event of bites & stings, drug overdoses and poisoning. Bites and stings: many bites and stings are not serious and are merely uncomfortable but medical attention should be given if there appears to be an allergic or other severe reaction. Drug overdose: Call 911, as some drug overdoses can be reversed by drugs carried by EMS. Use CPR to keep the person conscious whenever possible. Poisoning: If poisoning is suspected, call poison control for intervention protocols and 911 for immediate medical attention. Hemorrhages are losses of blood and can range in severity from 15 percent to 40 percent blood loss. Hemorrhaging wounds should be compressed to try to limit additional blood loss while waiting for EMS to arrive. The course also gives instructions concerning how to respond to nosebleeds and high blood sugar (hypoglycemia). The course gives in-depth instructions for responding to various classes of choking victims: Infants 12 months or younger, children and adults and unconscious victims. The Heimlich maneuver should be used to clear the victim’s airway. If this isn’t effective, use CPR and wait for medical response. It also gives advice in dealing with hypothermia, a rapid decrease in body temperature and dehydration. Mishandling a victim of a serious spinal or head injury can result in additional damage, so it’s important to know what to do. There are a variety of reasons why a person would go into shock. The course gives details about how to respond to these, as well as how to respond to seizure and stroke victims while waiting for EMS to arrive on the scene. Stroke victims will exhibit telltale characteristics, and the course gives guidance on how to identify a stroke. Proper handling of bloodborne pathogens is an important part of the BLS certification course. If bacteria that cause diseases like HIV/AIDs, Hepatitis and other highly contagious diseases is encountered and handled incorrectly, the risk of spreading is high. The course also talks about workplace pathogen protocol and regulatory compliance, including OSHA protocols. Can I Download the Course and Take the Test? 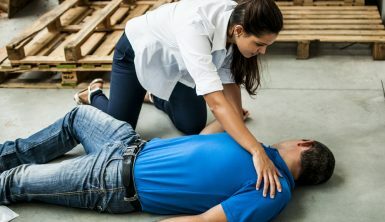 The skills taught in BLS certification online can give you a foundation to know exactly what to do if you witness an accident or come upon a person suffering from a wide variety of conditions and even save their life. You can download a PDF of the course here and when you’re ready to take the exam it’s available online.